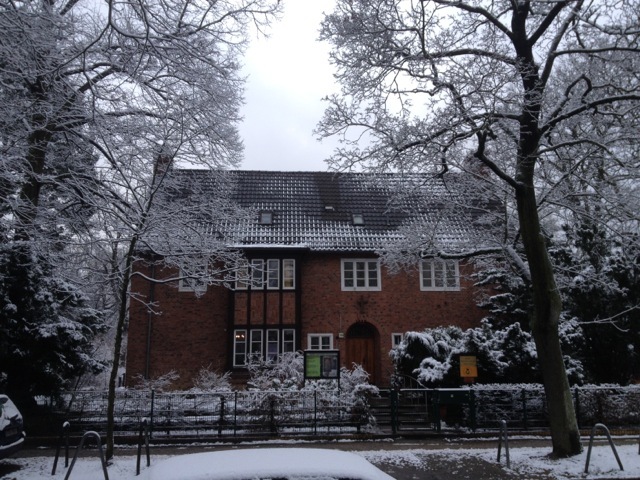 Berlin Mennonite Church is a place of peace in the city. We seek God, we follow Jesus, and we await the power of the Holy Ghost. We welcome all people, regardless of age or background, family situation or education, social status or sexual orientation. 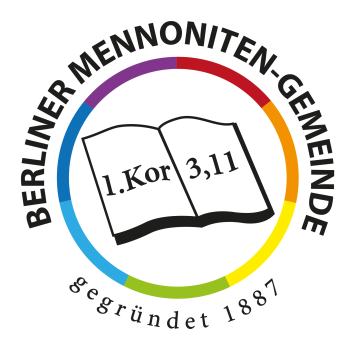 The Berlin Mennonite Church (German: Berliner Mennoniten-Gemeinde or BMG) was founded in 1887 and is a federally registered non-profit association. Since 1952, the congregation has met in the Menno-House. Our congregation includes around 100 baptized members of all generations as well as a number of children and other regular attenders. Sunday services usually have around 20-30 participants, and there are almost always guests. BMC’s work is carried out by around 20 voluntary leaders as well as a pastor with a half-time salary. All important issues are decided at congregational assemblies, which occur at least once per year. The Church Council makes decisions about weekly activities, and all interested persons are invited to attend council meetings. The Church Council is headed by a four-person board. Currently, this board comprises Torsten Seefeld (Chair), Ulrike Stobbe (Vice Chair), Joachim Ewert (Secretary), and Dennis Flex (Treasurer). The Church Council also includes our pastor and a representative of the Theological Working Group. The Theological Working Group engages theological topics and spiritual issues. Members of the Theological Working Group include the ordained ministers Helga Köppe, Bernhard Thiessen and Joel Driedger. The Church Council includes at least one of the deacons. They are especially concerned with the welfare of people in need. 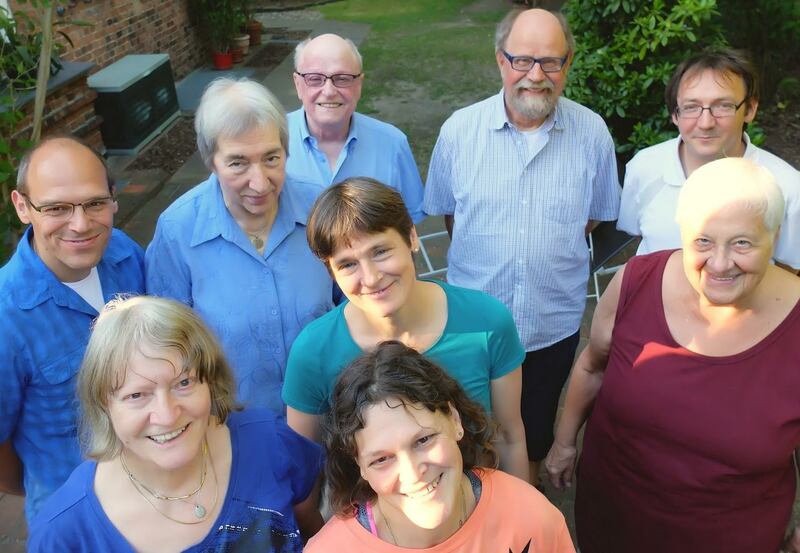 Finally, the Church Council also includes the resident caretakers of the Menno-House, as well as other engaged members of the congregation. Since April 2014, Dr. Joel Driedger has been our pastor. He is married to Judith and is the father of Salome and Ava. After performing voluntary service in Brazil, he studied protestant theology in Tübingen, Strasbourg, and Marburg, and he worked in the Department of Free Church Theology at the University of Hamburg. 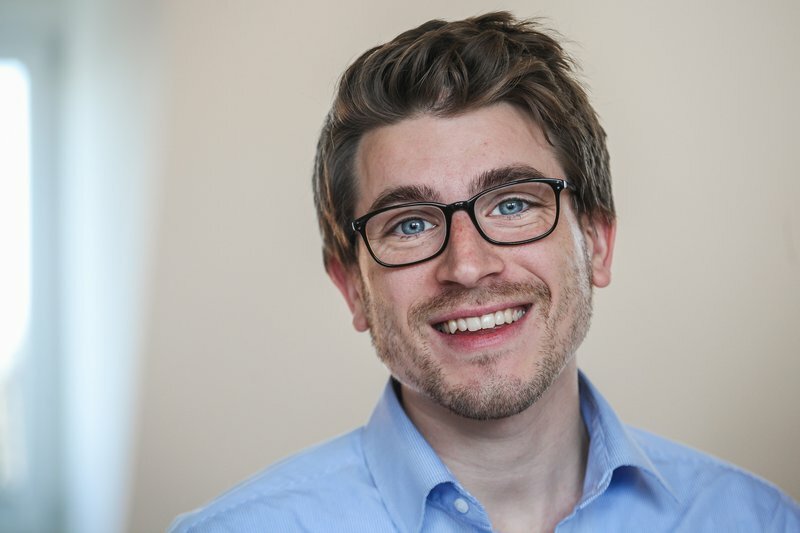 His doctoral dissertation is entitled “The Nonviolent Messiah: Introduction to the Theology and Ethics of John H. Yoder” and has been published by EB-Verlag. Joel also works as a conflict manager and mediator. BMC is a registered nonprofit. Donations are tax deductible.